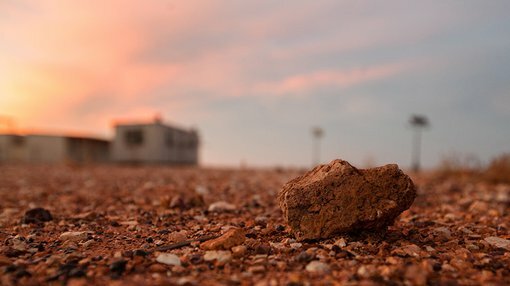 In releasing its quarterly report for the three months to June 30, 2017, Carbine Tungsten (ASX: CNQ) highlighted three key developments hinging around upcoming exploration work, the granting of five exploration concessions in northern Chile and the confirmation of high-grade gold assays at its Panama Hat project at Broken Hill, New South Wales. As this indicates, its assets cover a range of metals in varying geographic regions. This is consistent with management’s strategy of developing a diversified business with interests across precious and new age metals such as tungsten and lithium. In the three months to June 30, 2017, the company’s main focus was on its exploration activities at the Panama Hat gold project. Further surface sampling at its Panama Hat exploration licence in New South Wales has continued to return high grade gold assays ranging up to 84.4 g/t and up to 35.1g/t from the most recent surface sampling campaign conducted during the quarter. CNQ also undertook additional surface sampling, enabling it to identify locations for a targeted drilling campaign with preparations already underway. The company’s other gold project, Crow King, will also be the subject of exploration having previously delivered grades of 17.1 grams per tonne gold. The Crow King license situated 20 kilometres from Barraba in north-western New South Wales comprises nine sub-blocks that cover a historic gold field discovered in 1868, which was subsequently worked up until approximately 1906. However, the deepest working at the site was reportedly 67 metres, suggesting there could be the prospect of extensions at depth. CNQ’s world class tungsten mine project at Mt Carbine in northern Queensland is an important part of the company’s operations, and activities to seek investment partners for the potential purchase of the quarry business at the site have been ongoing. The macro picture for tungsten appears promising, reflected in recent price trends. 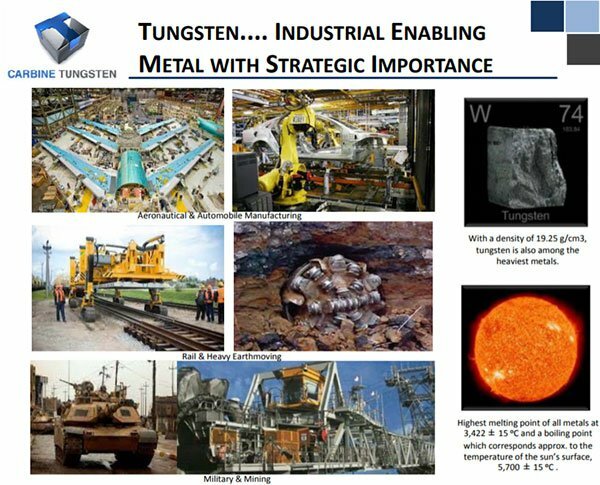 While the Tungsten APT price has been stable and has continued to modestly increase over the last quarter, the prospect of a shift in both the supply and demand markets due to geopolitical and military tensions could be the catalyst for a more sustained increase. There is the potential for conflict in both the China Sea and the Korean Peninsula regions, and should this continue there is the prospect that major users such as the US, Europe and countries in the broader Asian region will pursue supply outside traditional Chinese markets. CNQ said there had been reported increases in military expenditures in those countries, and global industrial activity is creating a scenario where the current western world’s dependence upon China as a de facto single source of tungsten supply for military and industrial metal (more than 80%) may undergo rapid change. APT pricing appears to be slowly, but steadily improving over the past three quarters as stockpile inventories have been reported to be continually declining. Outside the gold and tungsten businesses, a key development in July was the award of five exploration concessions prospective for lithium in Salar de Miraje in northern Chile. Senior management and geological consultants conducted on-site investigations in northern Chile to inspect the concession areas under application along with a broader investigation of further potential prospects, targeting additional concession applications. CNQ is preparing for a drilling campaign to be conducted following the award of the currently applied for concessions in Chile. CNQ has five remaining applications for concessions in process in Salar de Bella Vista, also in northern Chile. These applications are nearing completion for award within the well-regulated and robust Chilean concession approval system. Having recently received its first five concession approvals in Salar de Miraje, management remains confident regarding these pending approvals and continues to focus strongly on its Chilean lithium brines exploration and development program that is based upon encouraging in-country prospecting activities commenced during 2016. CNQ’s strategy is to specifically target low production and execution cost lithium brine targets, a key differentiator in its approach to the rapidly expanding lithium supply and demand markets.